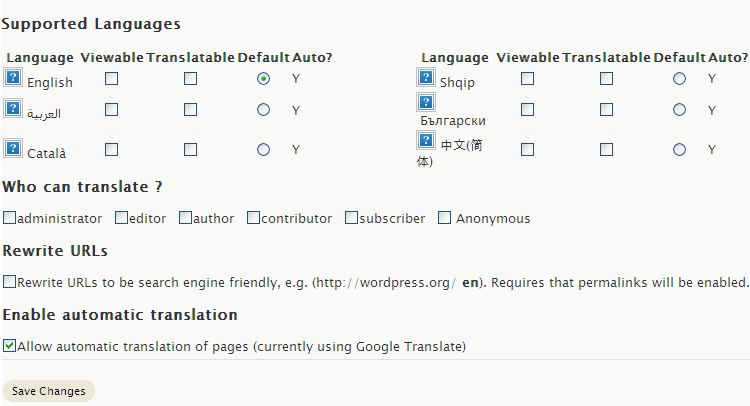 Transposh is a WordPress Plugin with a in-content translation capability which means the content is translated on the fly without even having to leave the page and it shows the translation as it happens.It uses the Google Translation Services to achieve this. Green – translation was done by human. Upload the plugin to your pwp-content/plugins folder and activate the Transposh plugin. Viewable – A language marked as viewable will have its flag shown inside the widget. Translatable – The translated page can be edited by anyone marked in the “Who Can Translate” section) to manually edit the page. i.e. 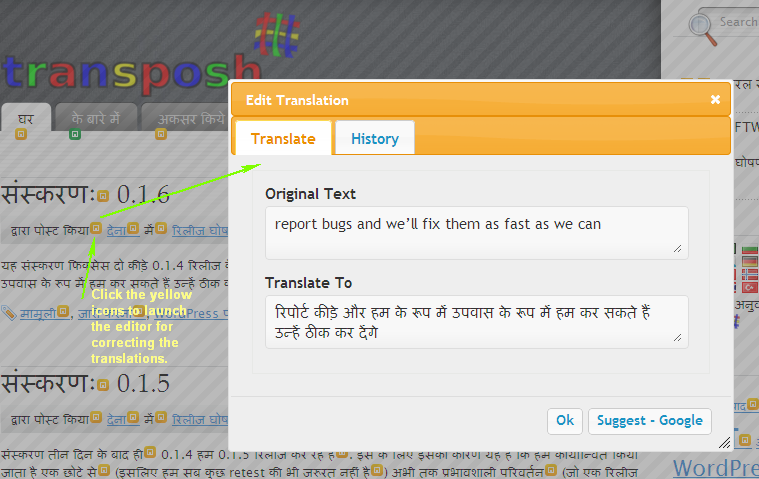 the translate check-box will appear in the widget. Rewrite URL’s – Automatic URL Rewrite for URL’s to be search engine friendly. Enable Automatic Translation – Translates pages automatically use the Google Translate without requiring entering edit mode for EVERYONE viewing the page regardless of the their role. However it will only take place for languages marked as editable. Note : Validate your html, adding extra tags that are unclosed in the template may lead to parser breaking. We are working hard on this plugin and would like to hear (and implement) user suggestions. Just be in touch with us on our trac system. can i use it on a blogger platform? I found the plugin very useful, Impressive blog , enjoyed reading tips & tracks.